If you are here in the USA this weekend, chances are you will head off to a 4th of July Celebration. Rather than showing up with the typical side dish, or the dreaded veggie tray, try this simple recipe that requires very little prep and tastes amazing! This way you can load your plate with veggies with a side of hamburger. Steam asparagus, covered for 2 min. Drain and plunge into ice water; drain well. Combine the asparagus, mushrooms, and the next 5 ingredients (mushrooms through pepperoncini peppers) in large bowl. Combine vinegar and remaining ingredients in a small bowl; stir well with a whisk. Pour vinaigrette over the vegetable mixture, tossing gently to coat. Cover and marinate in fridge for 2 hrs. Yield 20 (1/2 cup) servings. Serve chilled or @ room temp. Thank you 43fitness.com for introducing it to me years ago. It has been my favorite pot luck dish ever since. By the way, I will sometimes make this salad on Sunday and put the 1/2 cup serving over two handfuls of spinach or greens as a lunch all week long too! in a medium pan cook ground turkey until no longer pink. Add black beans, jalapenos, seasoning packet, and the amount of water stated in seasoning packet directions. Let taco mixture cool. 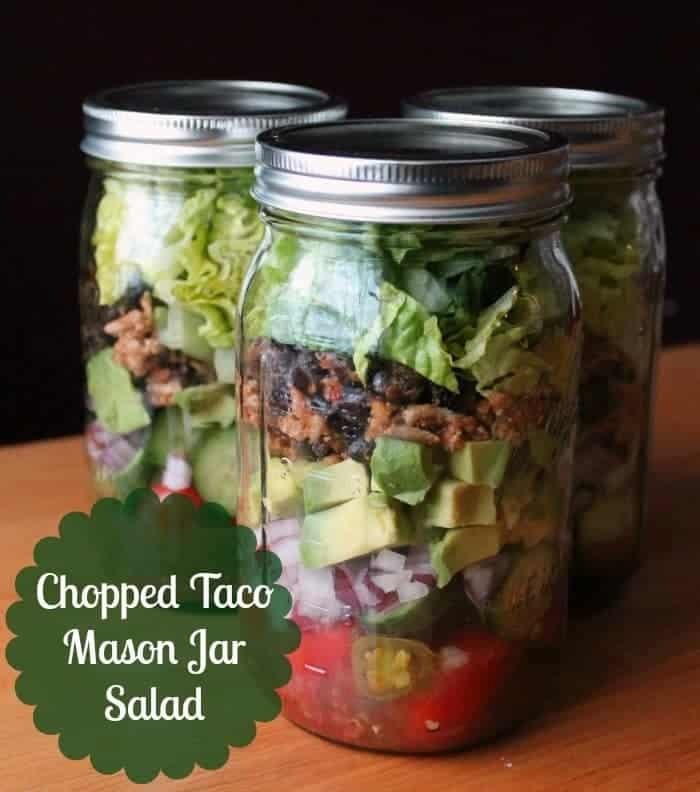 Divide ingredients among mason jars starting with salsa then adding greek yogurt, tomatoes, cucumbers, onions, jalapeños, avocados, taco meat, then lettuce. Place lid on and close tight. No need to vacuum seal. Store in refridgerator and pull out one each day. When ready to eat, shake real good, then pour into a bowl and enjoy.